Taos artisan copper bracelets and earrings...burnished and rustic these were a find one sunny Fall afternoon in Taos, NM. 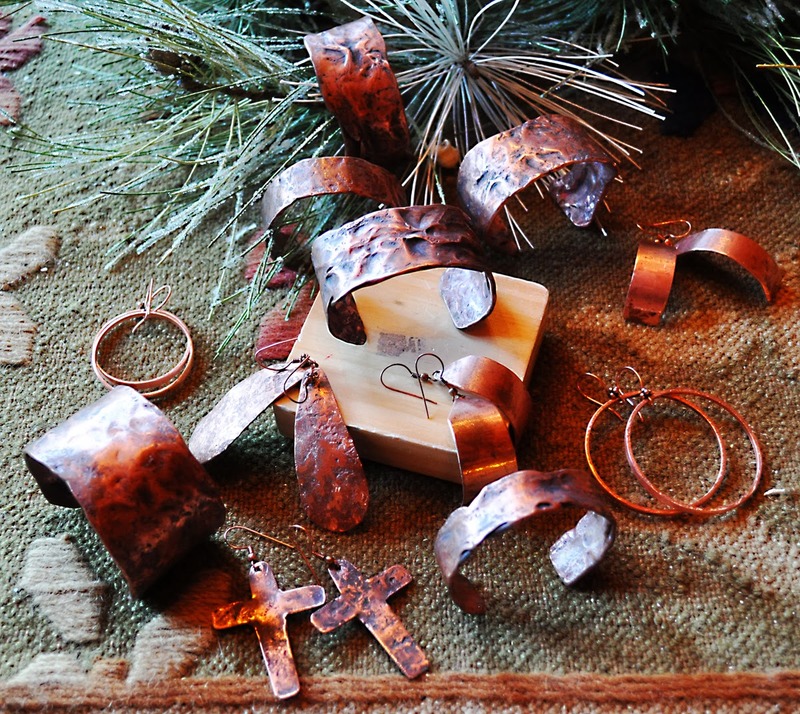 The artist is creative and talented specializing in all copper jewelry. Prices are fantastic these would make great gifts. Copper jewelry is the new look for Fall.